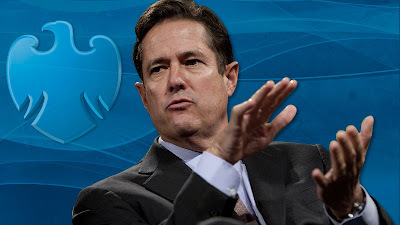 Today’s post looks at the developing story of Barclays’ CEO Jes Staley, who is currently facing hundreds of the company’s shareholders in their AGM. Staley, only in the position for two years, is facing calls for his resignation because he, self-admittedly, attempted on two separate occasions to uncover the identity of an internal whistle-blower who had made allegations against a newly hired executive in the U.S. This shortened post will briefly look at this unfolding story, including some other elements that are not helping Mr Staley’s reputation, and then ask what the result of this AGM may mean for the socially important role of the whistle blower. In 2016, Tim Main, a close friend of new Barclays CEO Jes Staley from their time together at JP Morgan, was hired for a senior position within Barclays’ American operations. Shortly afterwards, two complaints were brought forward against Mr Main and, in response, Mr Staley approached the Internal Head of Security to uncover the identity of the whistle blower. Staley had asked Mr Oerting, the Head of Security, to reveal the identity of the complainant because he considered the complaints to be ‘an unfair personal attack on the senior employee’, a request which was denied with Staley being informed that this was in contravention of whistle-blowing regulations. Yet, Staley tried again, and for this he is being formally investigated by the Financial Conduct Authority and the Prudential Regulation Authority. Internally, Staley has been formally reprimanded, and will see his £1.4 million bonus cut – although he still retains the support of the Board, with the notoriously trigger-happy Chairman, John McFarlane (or ‘Mac-the-knife’ as he is referred to for the ease in which he fires CEOs) stating that ‘as long as he wasn’t successful in identifying the individual’ he would retain the support of the Board. It appears Staley, who also made the news recently because of his support for his Brother-in-Law against the interests of the major Barclays supporter, will survive the uprising by certain investors and remain in the role, but the real issue here is what this case means for the idealised role of the whistle-blower. Whistle-blowing is an extremely important social function, and in theory serves as an important component of an efficient organisational structure. However, in reality the life of a whistle-blower can be extraordinarily dangerous, and as one researcher puts it ‘the reality of whistleblowing is grim. Few whistleblowers succeed in effecting change; even fewer are regarded as heroes or martyrs’. If we take a step back for one moment, the current political and financial arena dictates that we need whistle-blowers now more than ever, because the threat of deregulation in the Western World means that the people who are designated to find and eliminate illegal practices – regulators – will no longer be there to do so, at least in any great number. Some investors at Barclays have been noted as saying that they cannot see ‘how Jes Staley will survive this, particularly with US and UK regulators investigating’ and that, in itself, will be the telling factor in this story. How the regulators choose to discipline Staley, if at all, will be the clearest indicator as to the State’s economic viewpoints, because without the ideological protection that is needed to support whistle-blowing being confirmed, the chances of someone reporting malfeasance, as we (potentially) move towards a deregulatory phase only 10 years after the Financial Crisis, is reduced to near zero. The appalling sentiment displayed by McFarlane, who in his role as Chairman of one of the largest and most influential banks in the world should be encouraging whistle-blowing to signal to outsiders that his bank takes negating illegality seriously, is telling of the culture within these socially-intertwined banks. Whether or not Staley succeeded in uncovering the identity of the whistle-blower, and irrespective of his intentions were he to obtain that information, he must be removed from his position. The reason why, apart from the illegality of his actions, is a conceptual one. Potential whistle-blowers must know that they will be protected, and that those that seek to act against them will be punished in the harshest terms to set an example. Yet, today we hear that Jes Staley will have his £1.4 million bonus ‘cut’ – this indeed sets an example, and it is an appalling one for the plight of the potential whistle-blower.